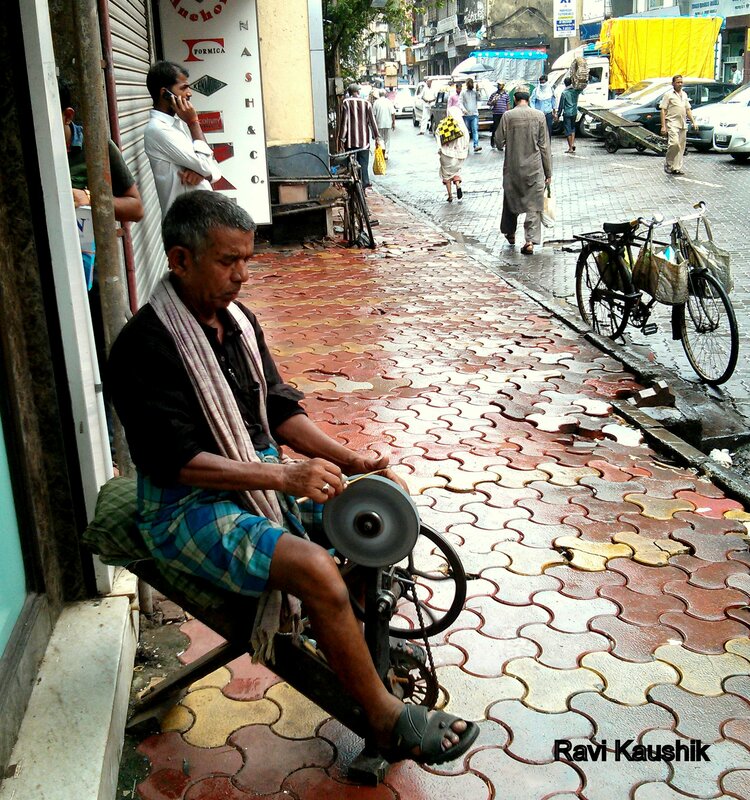 Saw this man sharpening knives on a rainy morning in Mumbai at the busy Crawford Market. Haven’t seen one of these guys in years. He puts on a small show to get the attention of shop owners around him by loudly rubbing metal against the wheel and then proceeds to collect knives and other sharp objects from the surrounding shops.